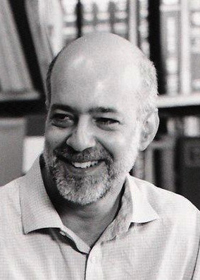 Joseph William Singer, Bussey Professor of Law at Harvard Law School, will receive the 2015 Brigham-Kanner Property Rights Prize at the 12th annual conference Oct. 1-2 sponsored by the William & Mary Property Rights Project, the Law School announced recently. The prize, named in honor of the lifetime contributions to property rights of Toby Prince Brigham and Gideon Kanner, is presented annually to a scholar, practitioner or jurist whose work affirms the fundamental importance of property rights. Singer has long been recognized as one of the nation's foremost theorists in property law. In addition to a casebook and treatise on property law, he is the author of Entitlement: The Paradoxes of Property (Yale University Press, 2000), The Edges of the Field: Lessons on the Obligations of Ownership (Beacon Press, 2000), and No Freedom without Regulation: The Hidden Lesson of the Subprime Crisis (Yale University Press, forthcoming). Lynda L. Butler, Chancellor Professor of Law and director of the William & Mary Property Rights Project, noted that Singer has written extensively on virtually all aspects of property. "It is a great pleasure to honor Professor Singer for his outstanding contributions to the field and to celebrate his prolific scholarship which so eloquently invites scholars, students, and lay readers to explore new ways of thinking about property and ownership," she said. "We look forward to presenting him with the prize at our fall conference." Singer, who joined the Harvard Law School faculty in 1992, was appointed Harvard's Bussey Professor of Law in 2006. Prior to that, he taught at Boston University School of Law, practiced law in Boston, and served as a law clerk to Justice Morris Pashman of the Supreme Court of New Jersey. In addition to books on property law and federal Indian law, he has published more than 70 law review articles. He received his law degree and master's degree (Political Science) from Harvard and is a graduate of Williams College. Joseph T. Waldo, co-chairperson of the conference coordinating committee, is a 1978 graduate of William & Mary Law School and president of Waldo & Lyle, P.C., the only firm in Virginia that devotes its practice exclusively to representing property owners in eminent domain cases. "The Brigham-Kanner conference provides a unique dialogue on the importance of property rights to society. Constructive debate allows scholars, practitioners and judges to share information while bridging the gap between theory and practice. The historical setting of Williamsburg provides a rich perspective for the ongoing discussion about the role of property rights in our society." Eduardo Penalver, the Allan R. Tessler Dean and Professor of Law at Cornell Law School, praised Singer's selection for the 2015 Brigham Kanner Property Rights Prize as "an inspired choice." He explained: "A leading voice in the Progressive Property movement, Joe is a true champion of property rights, although not in the way that term is commonly used. To paraphrase an economist Joe likes to quote, Joe is such a believer in private property that he thinks everyone should have some. He has dedicated his career to studying this distributive question. And his work has deepened my own understanding of the nature and importance of ownership." The Brigham-Kanner Property Rights Prize, which has been awarded annually since 2004, honors the work of Toby Prince Brigham, founding partner of Brigham Moore, LLP, and Gideon Kanner, professor of law emeritus at Loyola Law School in Los Angeles. Previous recipients include Professor Frank I. Michelman of Harvard University (2004), Professor Richard Epstein of the New York University School of Law (2005), Professor James W. Ely, Jr., of Vanderbilt University (2006), Professor Margaret Jane Radin of the University of Michigan Law School (2007), Professor Robert C. Ellickson of Yale Law School (2008), Professor Richard E. Pipes of Harvard University (2009), Professor Carol Rose of the University of Arizona James E. Rogers College of Law (2010), retired Supreme Court Justice Sandra Day O'Connor (2011), Professor James E. Krier of the University of Michigan Law School (2012), Professor Thomas W. Merrill of Columbia Law School (2013), and Michael M. Berger of Manatt, Phelps & Phillips (2014). To request a brochure about the conference, contact the William & Mary Property Rights Project at lsdevl@wm.edu or call (757) 221-3796.